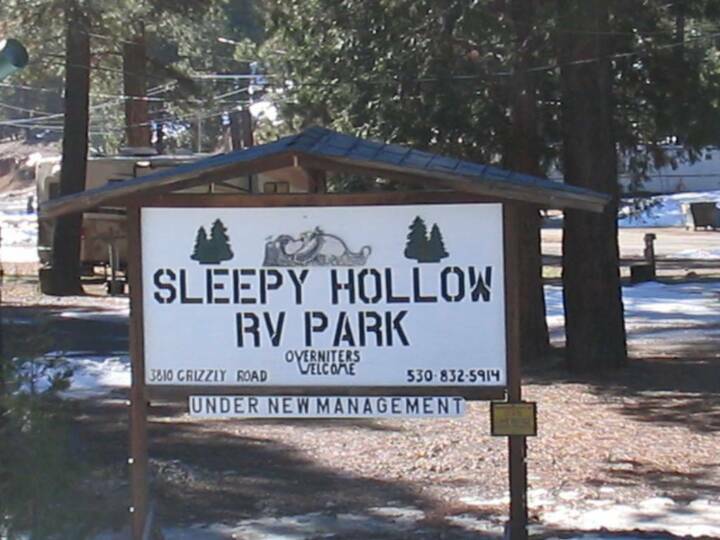 Sleepy Hollow RV Park is located in Plumas County, California in the beautiful Sierra Nevada’s, a short 45 minute drive from Reno, 2 ½ hours from Sacramento and 4 miles east of the town of Portola and the world famous Portola Railroad Museum where you can fulfill your dreams of becoming a railroad engineer. 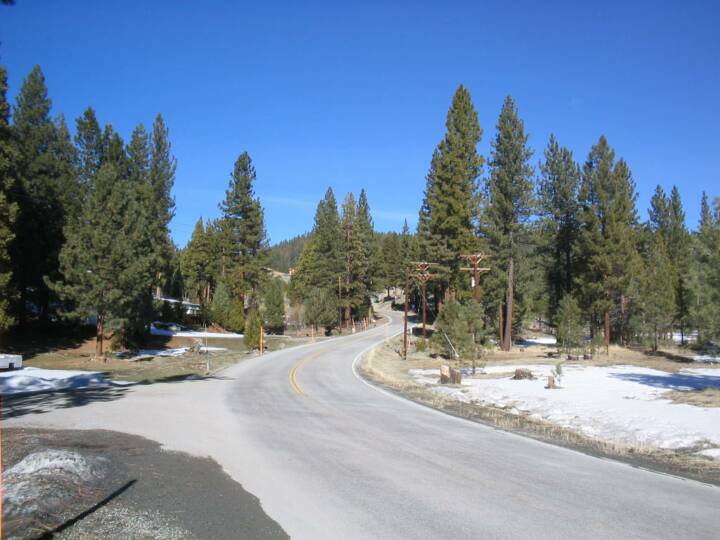 Plumas County is known for its many year round activities. 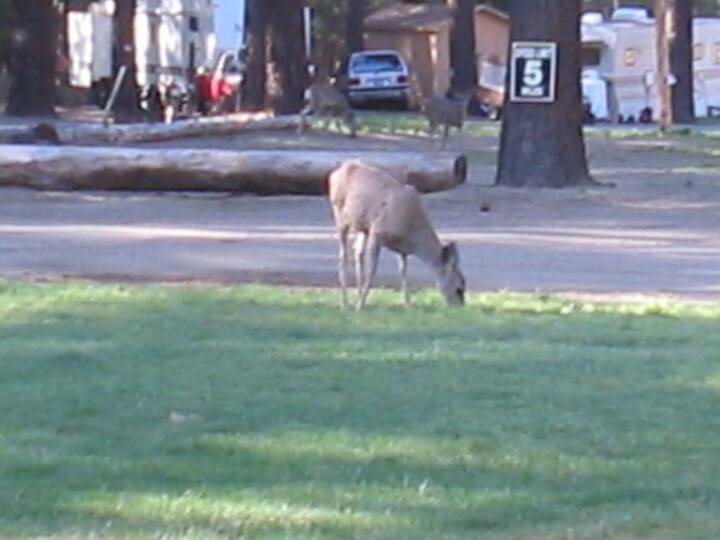 Wildlife abounds not only in the entire area but the park as well, with several daily visits from the resident deer herd. 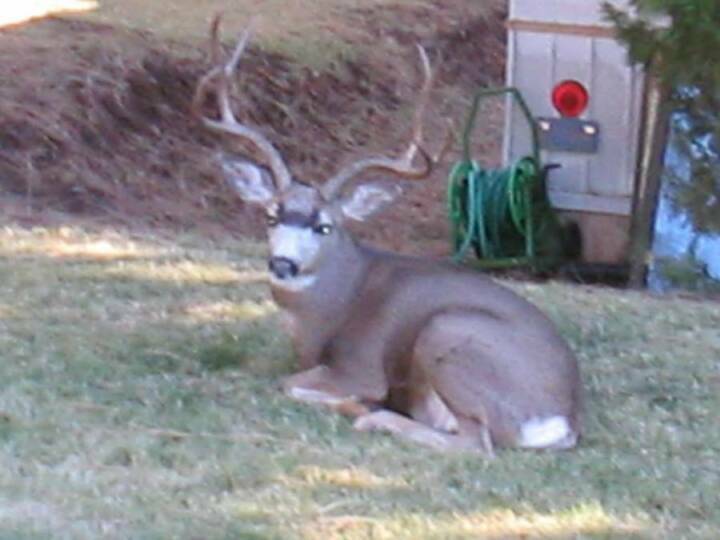 Come relax and listen to the whispering pines with us. 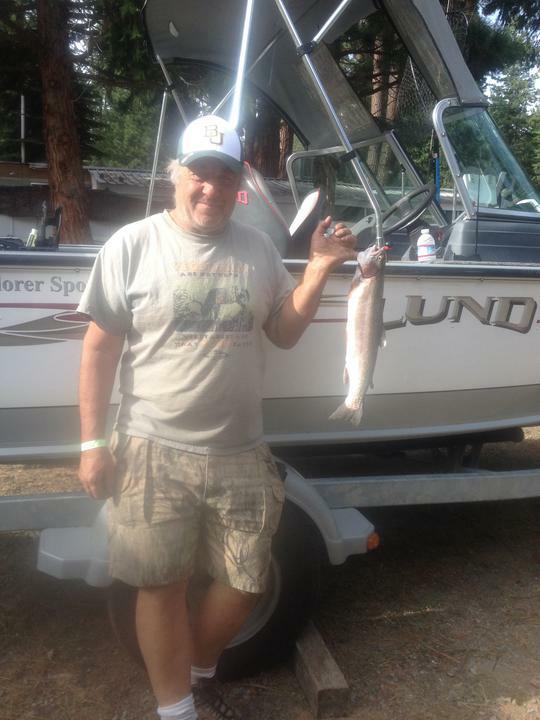 Our RV park is a short 3 ½ miles to one of California’s premier fishing lakes – Lake Davis. Both fly fishing and angling are major activities at the Lake, drawing avid fisherman from all over California and beyond. Local guides are available to help you find the best spot and bring in your limit or even a trophy fish. The lake is brimming with Eagle Lake Brown Trout, known for their firmness and size. Don’t forget the winter at Lake Davis, where the ice fishing draws many hardy fishermen. Across the road from Sleepy Hollow you’ll find the championship Grizzly Ranch Golf Course. It is a National Golf course operating as a Public Course. 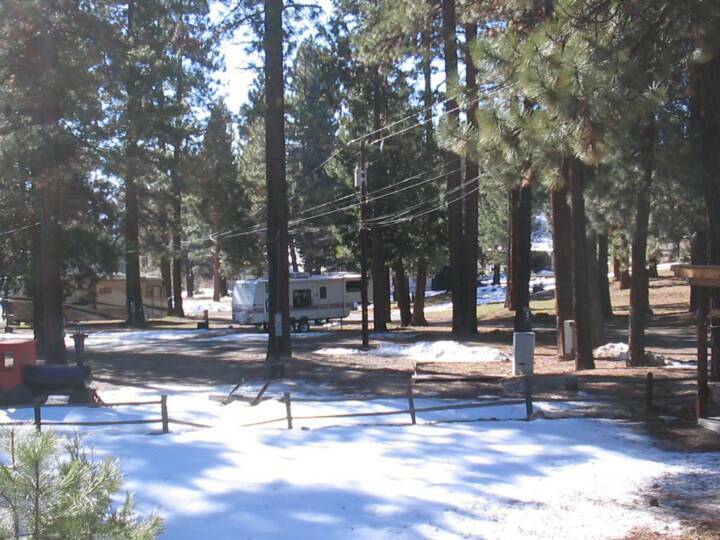 We are a year round, small RV park with full hookups. Free WiFi is available, ask when checking in. Tent camping is not available as we do not provide restroom facilities. Rates are very competitive, ranging from $30.00 a night, to $265 plus electricity a month. See our reservation page for more info.
" ... one of the best campgrounds in North America ! My family and I had the best time of our lives. We can not wait until the next summer !"